Samsung will return to Mobile World Congress this year to show off its latest batch of flagship smartphones. 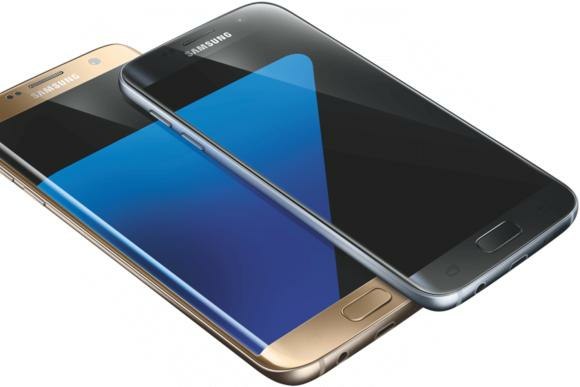 Samsung has announced we’ll get our first official look at the Galaxy S7 at Mobile World Congress on February 21. However, you don’t have to wait to find out what the phones will look like, if VentureBeat’s Evan Blass is to believed with his latest leaks. On the face of it the phones seem like, well, Galaxy phones, with Samsung again going for some type of Edge configuration along with a standard GS7. There’s talk of a 5.5-inch Galaxy S7 Edge model to go along with the 5.1-inch flat model. There are a few other details floating around out there. For example, we should see a return of expandable microSD storage, which is a popular feature among those who have used Android in the past, and missing from many recent flagship phones. Marshmallow integrates external storage much better now, making it a more usable feature. However, as the renderings indicate we may still have microUSB charging ports, which means all your old cords will be good for at least another year. But that means you won’t get USB Type C, as found with the Nexus 6P and 5X. There’s some uncertainty about which phones will see the Snapdragon 820 or use Samsung’s own Exynos chip. Samsung has used different chips in the same model before, as it may want to leverage Qualcomm’s strengths with LTE modems for U.S. markets. With each release the company tends to produce variations for each market, so such little hardware tweakings are to be expected. Why this matters: Given that we may have reached peak smartphone, a new Galaxy S7 may not excite the masses as such flagships once did. But it’s still one of the biggest flagships of the year, and we’ll be there in Barcelona for all the Mobile World Congress action. Be sure to check out our hands-on coverage and first impressions when Samsung gives its big reveal.